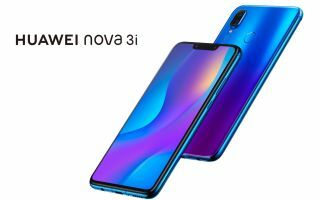 Huawei has announced that its Nova 3i handset – the big sibling to the spectacular Nova 3e – is available for pre-order for $599 in Australia with a very solid and very limited bonus gift offer. The Nova 3i sports an almost bezel-free facade with a prominent notch and slight chin, and the contemporary aesthetic carries over to the rear with its flat faux-glass. There’s no denying that Huawei has taken some inspiration from Apple’s trend-setting iPhone X design and the results are similarly premium, despite the thousand-dollar price difference. Alongside its mammoth 6.3-inch display (2,340 x 1,080 FHD+ resolution), the Nova 3i’s most impressive feature is its camera aptitude — something Huawei has been championing for years at this point. Not only does the Nova 3i boast twin rear cameras, there’s a pair of equally powerful front-facing cameras as well, and all four of them are coupled with new AI functionality that lets you manipulate and enhance your photos with 3D effects. But how about that bonus offer? If you pre-order the handset before August 23 from the select suppliers, you’ll also net yourself a free pair of the Huawei FreeBuds valued at $199. These truly wireless earbuds give the Apple AirPods a run for their money, offering 10 hours of playtime, IP54 water and sweat resistance, and a neat charging case while you’re on the go. The Huawei Nova 3i has been priced at $599 and is available to pre-order in Black or Iris Purple from JB Hi-Fi, Harvey Norman, and Mobileciti, with the bonus gift offer expiring on the official launch date of August 23 (or until stocks last).